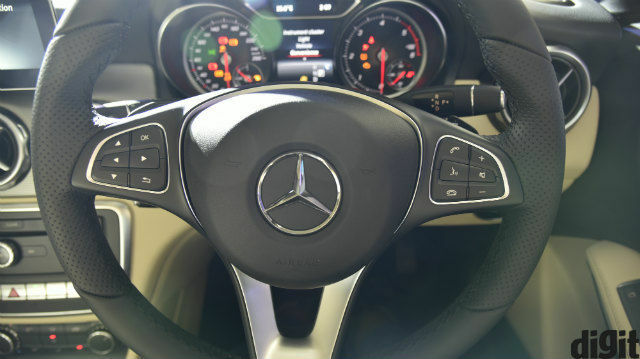 A new infotainment panel, updated MID and refreshed designing is what makes the all-new Mercedes-Benz GLA lineup. 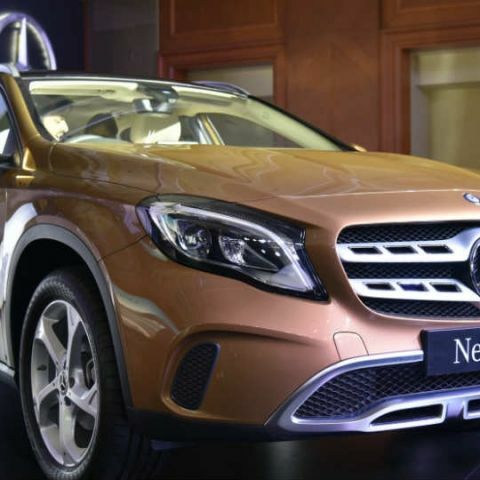 Mercedes-Benz has finally launched the refreshed GLA lineup of SUVs in India. 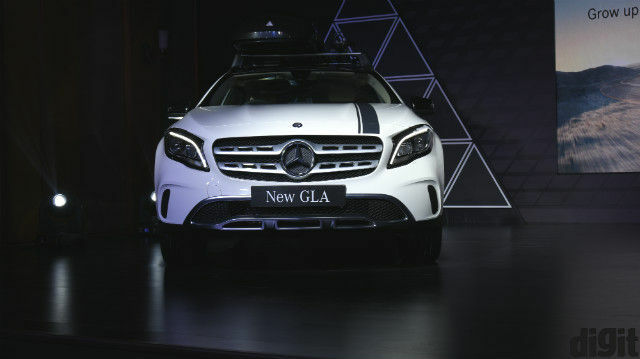 The facelifted GLA 200, 200d and 220d SUVs were previously unveiled at the Detroit Auto Show, and has now been brought to India. On road, the car will be up against entry-segment luxury SUVs like the BMW X1 and the facelifted Audi Q3 in India, and if first impressions are anything to go by, the car offers a lot of oomph and practical appeal at the same time. 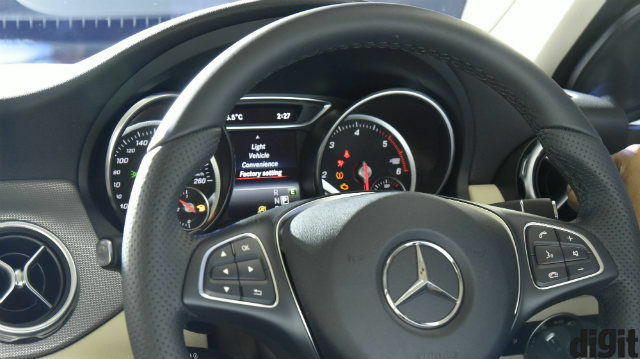 In terms of the technology inside, the all-new Mercedes-Benz GLA uses an 8-inch dash-mounted display that is not touch-enabled. It looks like a slightly toned down version of the COMAND infotainment system that we previously saw in the 2017 Mercedes-Benz E220d, and features Apple CarPlay and Android Auto. 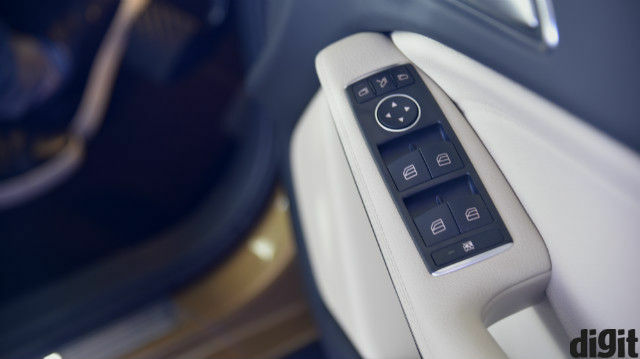 The new display uses a multi-way circular controller placed ergonomically beside the driver seat, which is quite similar to the arrangement that BMW uses with its iDrive infotainment system. 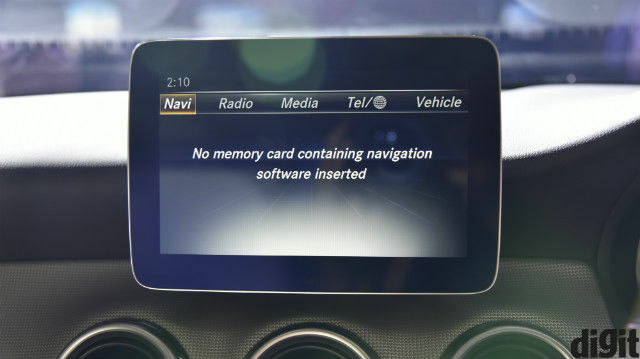 Unlike iDrive, however, you only get the return and favourite keys beside the controller, and all other shortcuts are mounted on the dash, where the array of physical buttons include volume controls, shortcuts for media, radio, navigation and telephone, call receive/reject, a seek toggle and a full-sized numberpad. 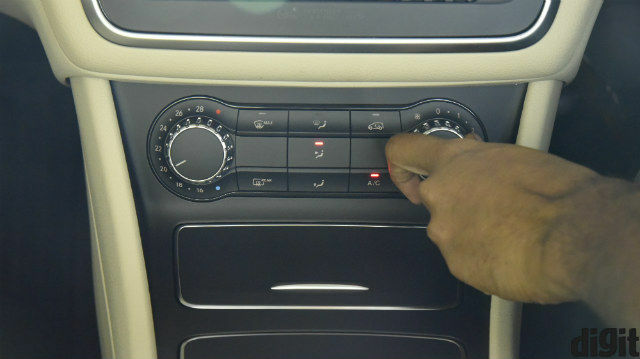 Adding to the analogue appeal are the retro-looking air-condition knobs that have physical numbers around the circular dials, and the rotary AC vents with jet-like exhausts. The multi-function display mounted in the instrument cluster offer almost every feature of the car on to itself. This lets you access convenience features like auto folding mirrors, ambient lighting and audio, along with functional features like the drive modes and feedback of the electromechanical steering wheel right from the steering-mounted controls itself. This lets you control a number of features of the car without taking your eyes off the road for too long. The high resolution infotainment display is bright and offers graphic representation of every feature that you would want to access. This makes understanding the entire array of nifty features quite easy, and the learning curve inside the Mercedes-Benz GLA SUVs is quite lenient. Everything from pairing phones to choosing the right driving-steering-climate combination is assisted and eased, and makes you feel more at home in this cabin. The front seats get three memory slots, along with adjustments for height, distance and recline. 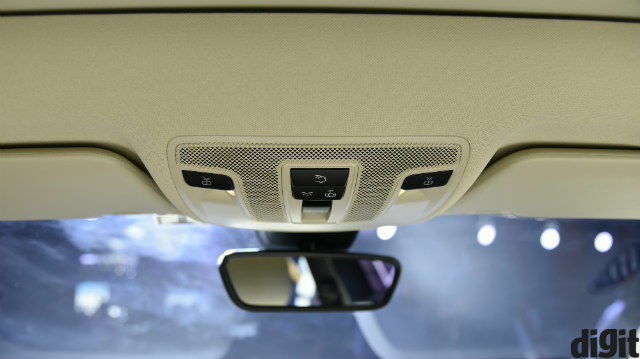 You also get outside locator lights, a 12-colour ambient LED lighting system, panoramic two-stage sunroof, reading lamps, premium stitched leather upholstery and loads of storage inside the car, all of which also make it quite practical. The rear bench has exemplary thigh support and great leg- and knee-room, and the bench itself is wide. This should allow you to sit three at the rear, quite easily. The addition of the rear glass ceiling adds elements of luxury and space, and makes the interiors feel really classy. In terms of the exteriors, Mercedes-Benz has refined the car to now make it look more aggressive and SUV-like, rather than a crossover variant of the A Class. It still possesses the smooth, refined designing that makes it look suave, and even those who swear by sedans would love how this new GLA looks like. The front facade accentuates the aggression with two sprocketed chrome slabs, and the rear is quite wide and makes the car sit squat on the road. Technically, the design should aid handling and stability and high speeds. The rear boot opens up to 421 litres of luggage space, which is the same as before. You can maximise it up to 1235 litres by folding down the rear bench. However, you would be cutting down on a lot of this space if you opt for the space-saver spare wheel. Ground clearance has now been increased by an additional 30mm, and the new Mercedes-Benz GLA now offers 210mm of ground clearance. The 2017 GLA family is available in petrol and diesel options, with the two GLA 200d trims (Style and Sport) being offered with 134bhp of power. 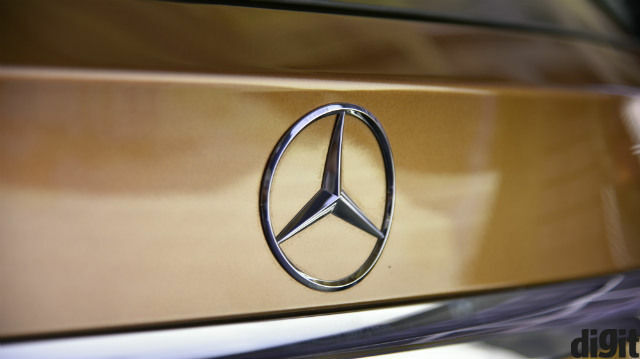 The third diesel variant, the four-wheel-drive GLA 220d 4MATIC is being offered with the same 2.14-litre diesel engine and producing 168 horses of power. The only petrol variant, the GLA 220 Sport uses a 2-litre petrol engine and produces 183 brake horsepower. All of these are mated with 7-speed automatic transmissions, although you get a manually adjustable drive mode (in Sport) via paddle shifters. The all-new 2017 Mercedes-Benz GLA 200d Style is priced at Rs. 30,65,000, the GLA 220 Sport is priced at Rs. 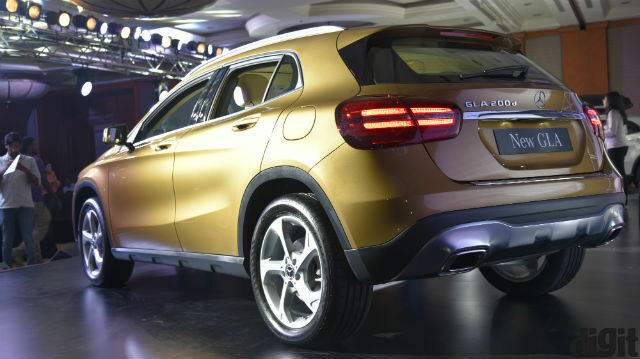 32,20,000, the GLA 200d Sport is priced at Rs. 33,65,000, and the range-topping GLA 220d 4MATIC is priced at Rs. 36,75,000. All prices are ex-showroom, pan-India.